The months of March and April 2012 saw a slew of sedan launches. There was only one major launch; the Hyundai Sonata luxury sedan, while other launches were variant/facelift launches and special editions. Here we will take a closer look at these cars. Variants and Prices:The Hyundai Sonata is available in two variants: a 6-speed manual variant and a 6-speed automatic variant. The manual variant is priced at Rs. 18.52 lakh and the automatic variant is priced at Rs. 20.61 lakh. The Sonata is cheaper than the Honda Accord and at par with the Skoda Superb. Also read: Variants and prices of the new Hyundai Sonata across five major Indian cities! 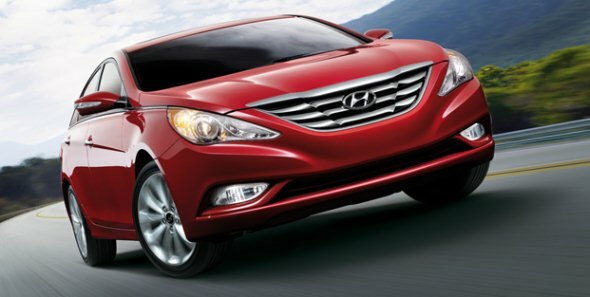 Looks: The Sonata is the biggest Hyundai sedan that wears the company’s fluidic design language and attracts immediate attention. The Sonata’s rear has a captivating tail lamp cluster and a neatly sculpted boot door that accentuates the width of the car. Performance: The Sonata is powered by a 2.4-litre GDI (Gasoline direct Injection) petrol motor with Dual Continuously Variable Valve Timing (D-VTVT). The engine puts out 198 bhp (201 PS) of power and 250 Nm of torque and is mated to either a 6-speed manual or a 6-speed automatic transmission depending on the variant. Comfort Features: The Sonata is equipped with a 2-din audio system with MP3 player, USB and aux-in, iPod connectivity and 6-CD changer, 6-speaker system and steering mounted audio & Bluetooth controls. The automatic variant also gets cruise control and paddle shifters. Variants and Prices: Renault India launched a new diesel variant, E4D of the Fluence sedan and is priced at Rs. 15.20 lakh, ex-showroom, Delhi. The E4D variant replaced the Fluence E4 variant which was earlier offered at Rs. 14.63 lakh. Looks:The French styling is unique with attractive curves, smooth flowing and well-proportionate edges that stand out. The interiors of the Fluence are simple, yet pleasing with faux wood inserts giving it a classic touch. Also read: Renault Fluence variants and prices across five major cities! Performance: The Fluence diesel is powered by a 1.5 litre dCI diesel engine which delivers 108 bhp of maximum power and 240 Nm of torque. The diesel motor is mated to a 6-speed manual transmission and returns a claimed fuel efficiency of 20.4 kmpl. When compared to the previous diesel engine, the new one puts out 3 bhp of more power. Comfort features: The Fluence E4D variant comes with dual zone automatic climate control, rear AC vents, rear AC ducts, smart access card entry, follow me home headlamps, engine start/stop button, electric power steering, tilt + telescopic steering, electrically adjustable & foldable ORVMs with temperature sensor, electro chrome inside rear view mirror, rain sensing wipers, automatic headlamp, rear parking sensors, cruise control and speed limiter. Variants and Prices: Renault India launched the Fluence diesel ‘Advantage Edition’ variant at Rs. 11.99 lakh, ex-showroom, Delhi. The advantage edition is essentially the Fluence E2 diesel base variant and will be available till the stocks last. 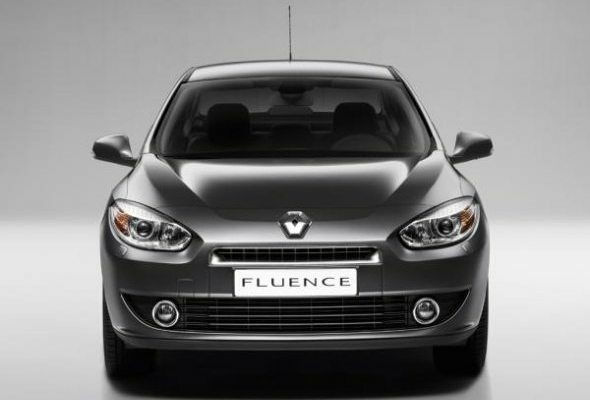 Looks: The Fluence has an elegant and sober look. Unlike most limited editions, the Fluence Advantage edition has no visual changes or add-ons. It remains same as the E2 variant offered earlier. Performance: The Fluence diesel advantage edition is powered by a 1.5 litre dCI diesel engine which delivers 105 bhp of maximum power and 240 Nm of maximum torque. The diesel motor is mated to a 6-speed manual transmission and has an ARAI-certified mileage of 21.8 kmpl. Comfort Features: The Fluence advantage edition comes with smart access card entry, front arm rest with storage box & cup holders, rear arm rest with cup holder, follow me home headlamps, an illuminated glove box, engine start/stop button, electric power steering, tilt + telescopic steering and electrically adjustable ORVMs with temperature sensors. 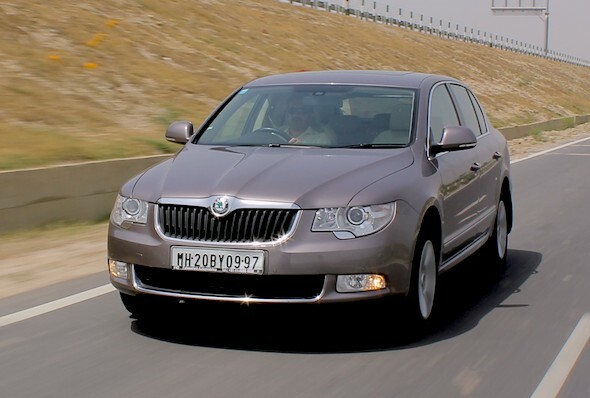 Variants and prices: The Superb Ambition variant is offered with both petrol and diesel engines. The petrol variant is priced at Rs. 18 lakh and the diesel variant is priced at Rs. 22.07 lakh. The Ambition is a stripped down version of the Elegance variant and comes minus the snazzy features. It loses out on bi-xenon headlights, ESP (Electronic Stability Program) and steering mounted offered in the Elegance variant. Performance: The Ambition petrol version is powered by a 1.8-litre TSI engine that puts out 160 bhp of power and is mated to a 6-speed manual gearbox. The Ambition diesel version on the other hand is powered by a 2-litre TDI motor that puts out 140 bhp of power and is mated to a 6-speed DSG (Direct Shift Gearbox). The Superb diesel has an edge over its petrol-only rivals such as the Honda Accord and Hyundai Sonata. Comfort Features: The Ambition variant gets a 12-way electrically adjustable driver seat & front passenger seat, the driver seat comes with three programmable memory functions, there is height adjustment for the driver & front passenger seats, you get front & rear centre armrests. You also get dual-zone climate control, automatic air circulation, including AQS (Air Quality Sensor), odour filter and pollen filter, retractable screens for rear windows & wind screen and front & rear power windows with one-touch up-down operation. « Is the Fiesta Ambiente more value for money than the City Corporate and the Vento Trendline?